I'm a lucky man. My father is alive and well at age 86. He is a veteran of the second world war. Holder of the Burma Star and proud member of the Burma Star Club, one of the last active post-war veterans organizations. My Dad joined the RCAF in Brantford Ontario. 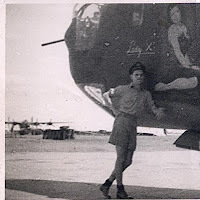 He became a bomber pilot. Got his wings in Manitoba. 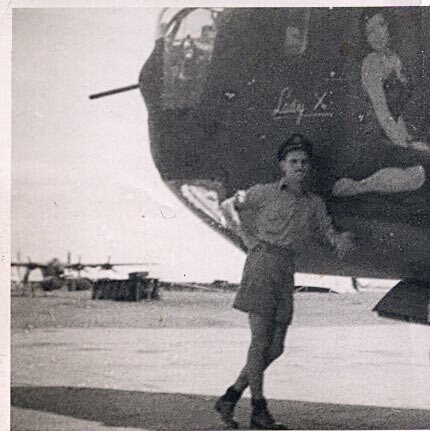 He was posted overseas to RAF Squadron 159 to co-pilot a B24 Liberator based in India. The Liberator was called the Lady X. His plane was shot up but never shot down. In addition to his memories and a box or two filled with photographs, he still has a few pieces of memorabilia worth seeing. Like a silk map of Burma carried by flight crews so that if downed, they could hopefully find their way to safety. My father has regularily shared his stories, photos and items with school children around Remembrance Day. A couple of years ago we were visiting my Dad and Mom. It was just after Remembrance Day. He still had his display board sitting beside his favourite chair. There was one photo of a blown up bridge. I had no recollection of seeing it before. My father has many photos of bombing runs taken from the air by his Liberator crew. I asked him about the bridge. "Oh", he says. "That's the bridge over the River Kwai". The bridge over the River Kwai! He proceeds to tell me that his plane dropped their bombs and missed. That it was the Liberator flying behind him in the run that made the hit and took out the famous bridge. "Nothing like the movie", he told me,"nothing like the movie". I'm sure it wasn't. Rarely is anything like the movies. If you know a veteran or see a veteran on or near November 11, please take the time to say thanks. They deserve it for their service to our country. And one thing more. There was WWI, WWII and the Korean War, but let's not forget what has happened since the 1950's. Canada has many more veterans of many more international actions and not just the army, air force and navy. Many members of the RCMP and other police forces have also served in war zones and during disasters worldwide.